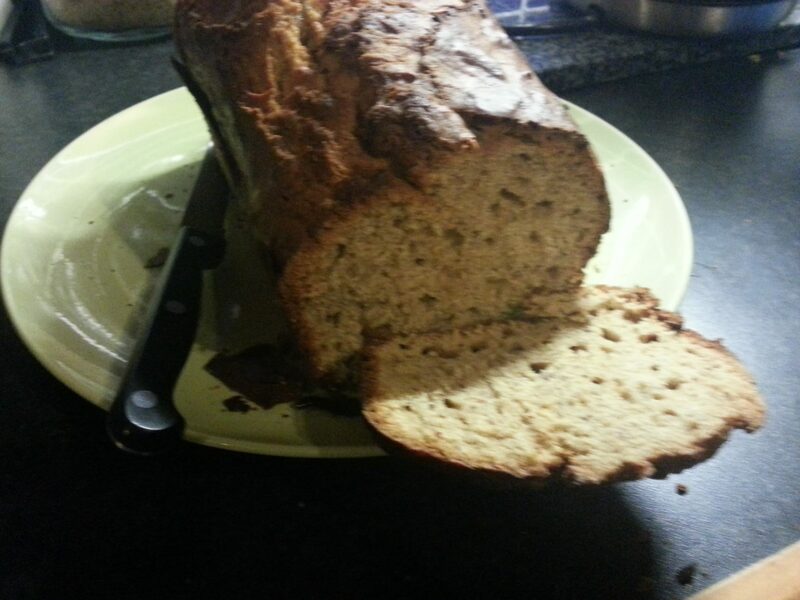 This is Sinead from Bumbles of Rice‘s recipe for banana bread, it is yummy, healthy and dairy free! My boys love it. Whisk dry ingredients with a metal whisk until well blended. In a large bowl blend all the wet ingredients with an electric mixer until creamy. Add dry ingredients to wet and with a few swift strokes blend by hand until smooth. Then add optional nuts or chocolate chips. Pour into greased non-stick loaf pans and bake for 50-60 minutes or until a toothpick or cake tester inserted into the center of the loaf comes out clean. (I usually take out after 40 minutes). Recipe doubles or triples easily, and extra loaves freeze well.